On Friday we set off for the Isle of Man and the 2012 TT Road Races. The next couple of days will be spent winding down and settling up Jon's business - always last minute jobs and subsequent invoices, getting the animals sorted for their respective places of holiday accommodation, tidying up the house and of course packing. We are expecting good weather - we tend to take the sunshine whenever we go away on the motorbike - unless of course we travel with friends when it tends to rain - hence why we go away on our own. Watch this space and watch out for us on TV! The Olympic torch is set to travel past the Grandstand on June 2nd. This just happens to be Jon's birthday and we have grandstand tickets! I know this will come as a surprise......but the rehomed hens now have a new home! My friend Julie called round last Friday. I was showing her the hens when she told me she had always wanted to keep chickens. It just seemed it was meant to be! Alice, the orange hen is very much in charge of the other two - Isabella ( now Bella) and Sophia - (now Doris). I had noticed Alice being quite protective and getting rather confident with my own hens - who in all fairness were doing well in sharing the garden with them. We have one third of an acre so there was always room for both sets of hens - but from time to time there would be squabbles. I hadn't been aware of Bella and Doris having a weak leg problem - a change of diet and better environment was improving their conditions but nevertheless I did not want them to be threatened or unnecessarily challenged. We go away next week - so the care of all the hens will be down to my neighbours and I can't expect them to give the hens the attention they need in this transitional period. Whilst I knew all would be OK when Julie said that she wanted some chickens we both felt the best place for the new girls would be her garden. Julie spent the weekend preparing the shed for them and buying the necessary stuff that goes with keeping chickens. On Tuesday evening I took the girls round and we settled them into their new home. On Wednesday Julie called me to say they were enjoying the garden - so I went round and took the photographs. From the state of the inside of the shed we could see where they had been nesting and were enjoying the garden. The tortoise was following them round and at one point all had been sunbathing! As a true animal lover I knew the decision was best for the hens - all of them. Mine are now back to normal and the re homed ones are now in such a lovely lovely place, so much better than their original run at my sister in laws. Their egg production had increased whilst they were here so I know they are happy and content. Keeping hens brings its rewards and now Julie is experiencing the same - a joy shared is a joy doubled! Spaghetti is a great favourite with our hens. Here you can see all 7 of them enjoying some I freshly cooked for their tea. They also love all pasta and rice noodles, cooked rice and potatoes. I tend to mash them all together always with grit. For more ABC fun visit the link in my sidebar. Yesterday I let the hens out. New girls into their compound. A couple of hours later I noticed Sophia had managed to find her way out. but was quite happily snuggling next to Mabel where she proceeded to lay an egg. Yesterday the new girls gave us 3 eggs. They must be happy then as normally they were producing 1 every other day. You have to laugh eh? We have rigged up a temporary enclosure for the new gals. This will allow them some space from our own hens. Two of the hens have slight weak leg problems - nothing major - time, better diet and environment will sort these problems out, but hens detect weaknesses and our girls could quite easily bully them, so this will suit them. They will enjoy foraging too. Hopefully clearing the area of weeds over the next few days. Whilst I was recording this scene I was aware of Ted, the English springer in next door's garden - you will spot him at the end! lol! Introducing the news hens on the block! Isobella and Sophia loved the added grapes! enjoyed porridge, grain and grapes. Tonight we introduce them to the other hens! Yesterday we brought the new girls home....well not exactly home - as in main chicken house, more annexe as they are currently in the spare henhouse - original henhouse, now home to the logs and wood Jon aquires and processes. We collected the hens yesterday afternoon, transporting them inside a paper sack. This is one of the easiest ways to transport hens - they immediately settle down - which they did. We made sure they had plenty of water and grain and left them to get use to their new surroundings. Tonight, when our hens are tucked up in their won house we will let the new girls have a wander round the paddock - they will by now recognise this as home and will return once the light starts fading. Our girls dont eat much green food ie lettuce and cabbage leaves as they enjoy rummaging in the grass clippings. The new girls however LOVE greens as they were use to a coop where they soon ate all the grass and enjoyed daily treats of lettuce etc. I fed them some lettuce today and they ate it with gusto. Tonight I will feed them lettuce and spagetti for supper. They will enjoy foraging I am sure. Jill and I were in our element.....2 very tired little sould indeed! Chinese tonight and a glass of wine me thinks! Hens in the Sun Today! Always makes me realise how hens should live! We are getting 3 more girls to join the brood. Need to do some research - I THINK it is best to introduce them when it is dark! This morning I was really pleased to see the hens enjoying a dustbath together. From the picture I worked out that all of the hens were together with Ernest. From time to time they seem to isolate one member of the group, often Bev the black one, but all seems well and they are producing 7 eggs a day. We have had a great bank holiday weekend and managed to get out on the motorbike most days. As ever, Jon returned back to work today and the weather is glorious. Yesterday he managed to get the lawns cut. We have had so much rain of late it was impossible to cut the lawns so this was a great relief. I am preparing for a Wedding Fayre this Sunday so am very busy. Jill is coming along so I am sure there will be lots to share next time. Right now I need to keep my head down and get creating! Once the Wedding Fayre is over it will be time to start the serious preparations for the Isle of Man! 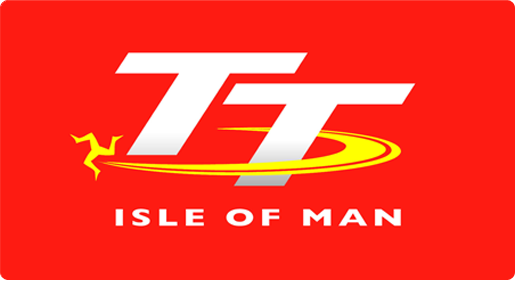 We leave for the TT on Friday June 1st! Dieting is a difficult beast to deal with.......but once in a while we need to take stock and see not where we are heading, but where we have been! I was MORTIFIED when a friend posted this first picture of me...it prompted me to take control! The journey I have travelled has given me an insight into the foods I eat and enjoy....of examining the fat and sugar content in what I eat. Processed foods in particular. I enjoy my food now as I always have, but feel better for the choice I have taken. I have met new friends too - an important role in our journey towards a healthier life. These people will remain friends for life...we certainly between us will have a longer one! Nearly there now! For more ABC Adventures follow the link in my sidebar.